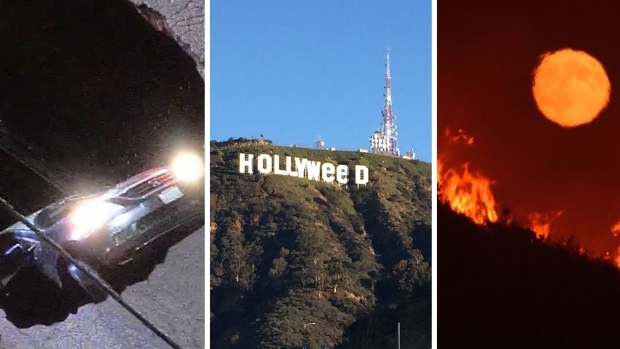 "I would hope if I had children that somebody would do the exact same thing." 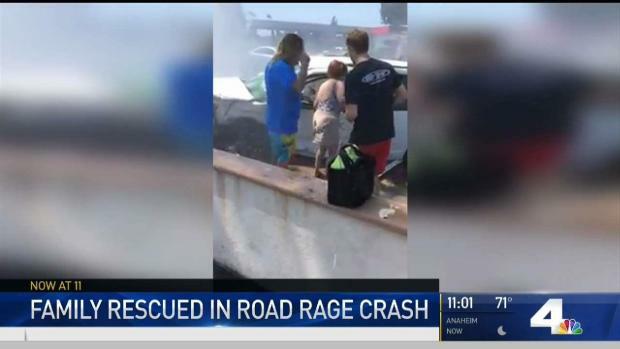 A woman rescued a family of six after a possible road rage driver crashed into them, trapping the parents and their children inside of their minivan Monday in Huntington Beach, California. Jonas Dimas started filming the aftermath of the crash in front of a 24 Hour Fitness on Warner Avenue and Spring Street when Amy Greco, a manager at the gym, ran past him to help. When Greco arrived, she said the driver and the passenger of the van were barely conscious. "He said, 'I have kids,'" she told NBC4. "I started a kids' club at 24 Hour Fitness. They're my passion for me." The woman who saved a family of six who were trapped in their van after a road rage crash talks about the life-saving rescue. Hetty Chang reports for the NBC4 News at 11 p.m. on Tuesday, July 11, 2017. Greco knew what she had to do. Dimas' cellphone video shows the gym manager breaking out the back windows and pulling all four kids out of the van, including a 5-month-old baby. "She was the bravest of all of us who were standing here watching," Dimas said. "She was definitely the bravest of them all." The family was exiting the parking lot Monday afternoon when Brandon Pauw, who was possibly involved in a road rage crash just moments before, slammed his SUV into the packed van. Greco insists she's not a hero, but rather someone who happened to be at the right place at the right time. "I would hope if I had children that somebody would do the exact same thing," she said. A statement from 24 Hour Fitness praised Greco and the other employees and the Huntington Beach location for intervening and helping the victims. "We are very proud of our employees and their quick reaction to rescue the individuals involved in this incident," the statement read. "We wish a speedy recovery to the individuals recovering from this incident." The family was hospitalized for evaluation and were expected to recover. Pauw was extricated from his SUV and hospitalized. He was booked on charges of driving under the influence, investigators said.